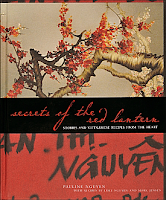 Secrets of the Red Lantern was one of the books I tracked down after my Easter visit to Vietnam. Mr Books and I loved the food whilst in Vietnam - so fresh, so tasty and so much variety. We loved the casual, shared style of cooking and eating. 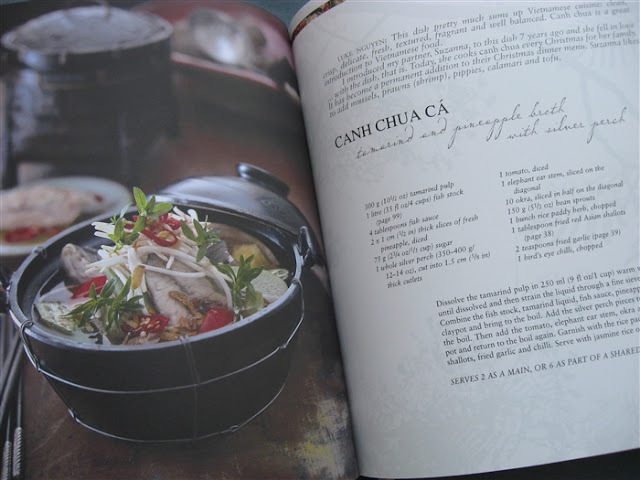 We have eaten at the Red Lantern restaurant in Surrey Hills before with great pleasure, but when I spotted that Pauline had a cookbook memoir, I knew I had to give it a try. I wanted to create some of their famous healthy, delicious dishes myself. I have been dipping in and out of Pauline's story ever since, but have failed to try any of the recipes. Curiously, it has been #AusReadingMonth and #nonficnov that finally got me to have a go at one. On Thursday evening I made Cha Ca - ling fillets marinated with dill and tumeric - with great success. I love any chance to use my granite mortar and pestle, so I was delighted to crush the garlic, spring onions, tumeric and curry into a smooth paste. The aromas that wafted around the house were so sublime they drew Mr Books down from his office to partake of the process! The recipe was easy to follow, easy to recreate and very, very easy to enjoy. 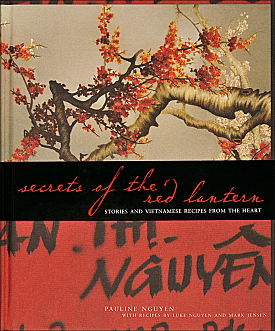 Secrets of the Red Lantern is much more than a cookbook with great recipes though. It is also a substantial family memoir. Generously littered with family photos and stories, we follow Pauline's immigration to Australia at a young age with her family after the war in Vietnam, to her early life in Australia, the importance of food in maintaining family connections and the opening of the first Red Lantern restaurant with her brother Luke and (now) partner Mark Jensen. The book is sumptuously put together. Each chapter begins with another part of Pauline's life story and a few family photos. Beautiful, simple photos of the food follow with one recipe per page. Brief chef suggestions by Luke and Mark accompany each recipe. It really is an aesthetic delight from start to finish. This post is part of #AusReadingMonth, #nonficnov and #weekendcooking. Your dinner looks great and your photo is almost identical to the one in the book! You know you're on to something good when just the aromas from the prep work calls the man into the kitchen. I'll have to see if we can get the book over here. I love Vietnamese cuisine and this sounds like a book I'd enjoy. Your photos are lovely! I like a cookbook that has a good story in it as well. I've never tried making Vietnamese food. Somehow it looks too intimidating.